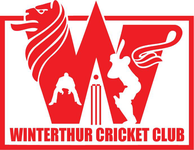 The Winterthur Cricket Club will hold the club's 37th Annual General Meeting on Monday 25th March 2019 at the Restaurant Tiefenbrunnen (Tösstalstrasse 76, 8400 Winterthur) beginning at 8pm. As in previous years, the Restaurant Tiefenbrunnen will open its doors from 7pm especially for us. "Winterthur Cricket Club cordially invites you to the 37th Annual General Meeting on Monday 25th March 2019 at the Restaurant Tiefenbrunnen (Tösstalstrasse 76, 8400 Winterthur) beginning at 8pm. As in previous years, the Restaurant Tiefenbrunnen will open its doors from 7pm especially for us. Apologies for absence and points for inclusion on the agenda should be addressed to the club Secretary, Matt Allen (that's me!). Please find attached the minutes of the 2018 AGM and a provisional agenda for this time around. Please note that we will be looking for members to fill the positions of Social Secretary and Secretary as Vinny Patel and Matt Allen will be standing down at the AGM."